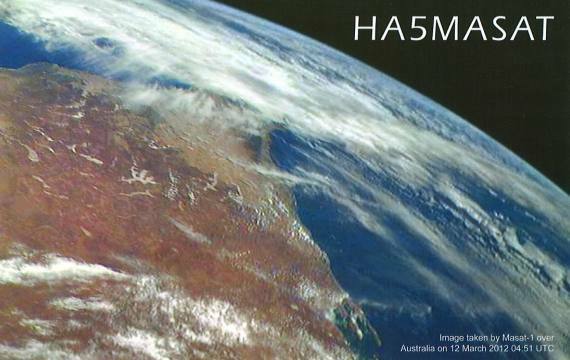 Masat-1 satellite will use the amateur radio frequency band to downlink telemetry data. The downlink data will not be encrypted, so everyone will be able to receive it, decode and process. The decoding software will be freeware and available at this website. 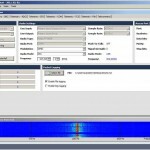 This software is capable for real-time receiving and decoding of the telemetry. 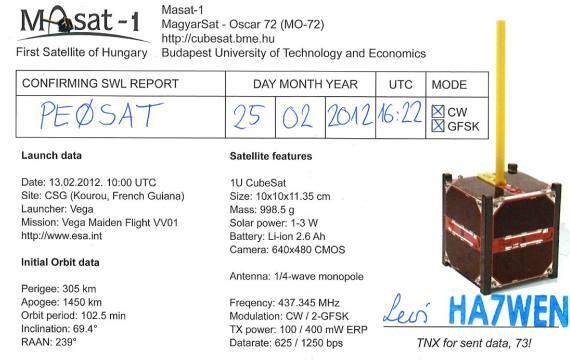 It can also transmit the received packets to the Ground Station of BME for further research and analysis. 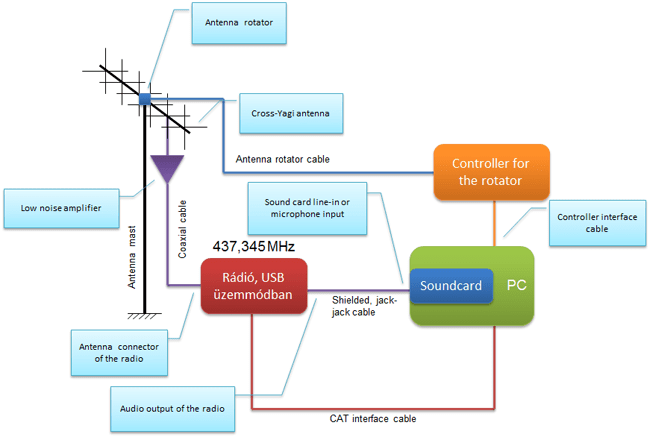 The aim of introducing spaceborne circuit design to undergraduate students, as well as to train a sufficient number of space specialists, thus facilitating future selection processes for space borne developments, two departments of the Budapest University of Technology and Economics decided to jointly launch a long-term educational program in the field of space borne circuit development. 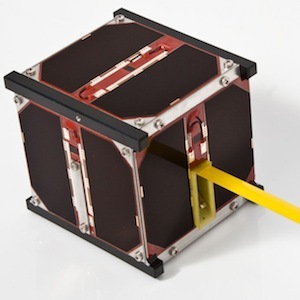 Making digital images of the earth and measuring the radiation environment in orbit. 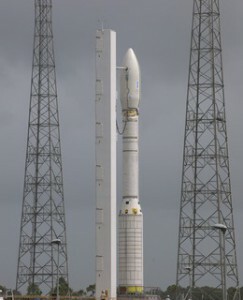 Perigee x apogee     307 x 1327 km? Nice to receive a QSL Card from the HASAT team.